Manchester United transfer target Milan Skriniar is all set to extend his contract with Inter Milan, according to a report. United are expected to add a centre-back to their ranks in the summer after Jose Mourinho failed to do so last summer. The Slovakia star has been linked with a move away from the San Siro since last summer, with United said to be among the front-runners for his signature, but their hopes look to be fading. Corriere dello Sport claim the Nerazzurri have found an agreement with Skriniar to renew his contract with the club until 2023 with only the signatures, meaning the extension is a mere formality. The 23-year-old and Inter are understood to have reached an agreement for an extension by one year up to 2023 with an immediate increase in his pay. 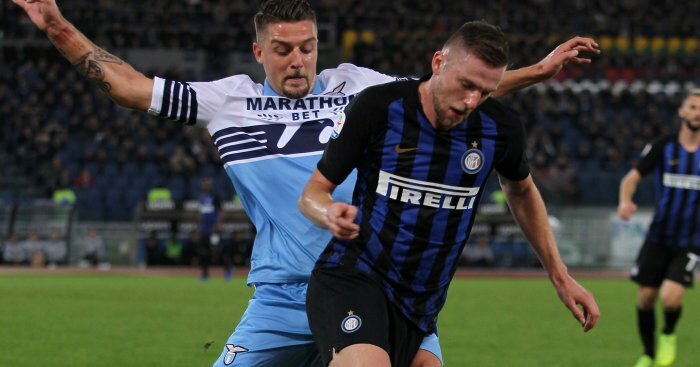 Skriniar, who currently gets €1.7million season will see his pay almost double to €3million a year, plus bonuses, while the new agreement will not include a release clause. Apparently the club were not interested in adding one into his deal and Skriniar himself did not press for one either. However, the player then took to his Instagram account to shoot down claims, as reported by the Manchester Evening News. “You write things that you don’t even know,” Skriniar posted. The post £63m Man Utd target agrees new contract without release clause appeared first on teamtalk.com.